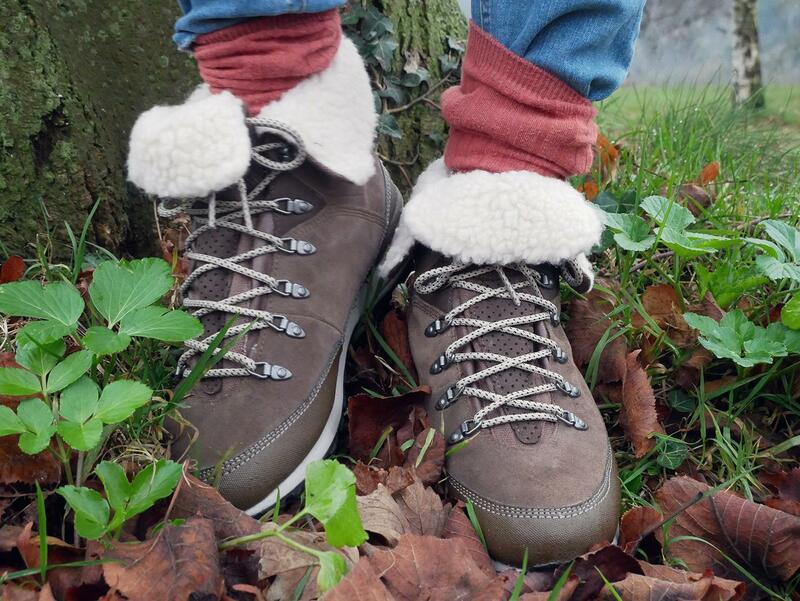 Win a snuggly pair of Hi-Tec’s Kono Espresso boot, £79.99. Versatile and cosy, these babies were made with winter in mind. 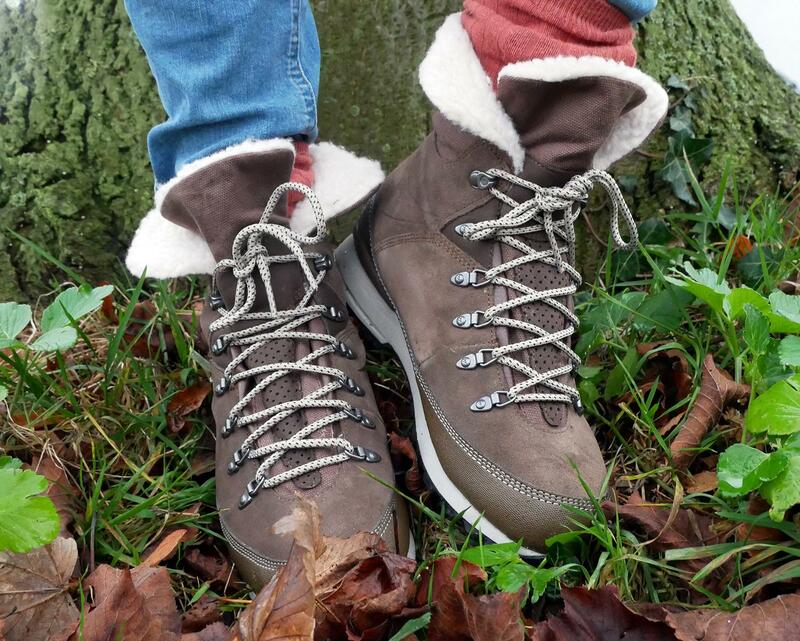 Oh, the weather outside is frightful… so you’re going to need some rather lovely hiking boots to see you through until spring. Hi-Tec’s Kono Espresso waterproof boots are perfect if you’re planning a winter ranging everywhere from icy ski towns to muddy woodlands. Coated in Dri-Tec, the Konos’s suedy outers are fully waterproof, and their thick, bouncy outer soles will take you effortlessly through the hills without weighing you down. I love the sheepskin-like inner layer, which can be folded up or down for extra warmth, morphing the Konos into decent snow boots in sub-zero conditions. They also (and this really isn’t a given with your average hiking boot) look fantastic with anything from waterproof trousers to skinny jeans. A great all rounder, and at a palatable price, even if you’re skint after buying endless Christmas presents. And even better, I’ve got a pair to give away to celebrate the festive season. TO ENTER: This competition has now closed and the winner is Jane. Congratulations! Hi! I’d love to win a pair of these boots to come adventuring with me in 2017. After a 2016 of trips abroad this year I want to explore what the UK has to offer. Top of my list a Glen Nevis in Scotland and Snowdon in Wales. The Peak and Lake districts are also high on my list. Of course my three Labradors will be joining me on these adventures! Would love to return to Oman, country where I spent some time as a child, and hike Jebel Ahkdar in the Al Hajar mountains. I would love to take these hiking in Vuntut National Park (in the Yukon)! I would love to take my boots hiking with my dog anywhere and everywhere but mostly in my county of Hampshire where the countryside is beautiful and well made boots like these would last many years and be a godsend for my feet. I’ll be hiking daily with the dog and possibly at Stony Brook State park. Walking the south west coast path! these would be a lovely addition! As an ‘all year’ walker, I tend to visit some of the many London walks .. Capital Ring, Jubilee Walk, or similar, in the Winter time. Hopefully, FTS (frozen tootsies syndrome) will become a thing of the past thanks to a nice new pair of HiTec Kono Espresso boot. All the best for 2017. Going ascent to the highest top in Europe – Elbrus in august 2017. Would love to win and go in these. i would take mine to the Lake District! love these, followed on IG and Twitter too! I would go walking on the Yorkshire Dales and Moors. I’m going to Chile in a few months so I’d love to have some new hiking boots to wear whilst I explore the local areas. We are hoping to visit some National Trust places this spring with our 3 boys to get them out seeing new things, so these boots would be perfect for all that walking and exploring. Instead of trekking far away I would go on local walks to learn more about my own environment! If I won those fab boots they’d be going with me to the Lake District her in the UK to sample the beauty of the UK. Im happy walking round where we live, we walk for miles on the railway walk! Oooh to run them in I would walk along the High Peak trail in Derbyshire ….and then the world my oyster! I would wear these when I go walking along the Dorest coastline. Hardknott Pass in Eskdale – beautiful scenery. I’d go to the Lake District I think! Oh how I need some good walking boots. They would be used daily round our local woodland trails but a few walking holidays planned to Snowdonia and the lake district during the year these would be ideal for my wife. The Blue Mountains in OZ when we make our regular visits to Australia to visit our Son and Daughter and their families that live there. We are having a Spring getaway to Soll in Austria, lots of walking there! I will go hiking up snowdonia as I have always wanted to and it’s my plan for 2017. I went hiking up Moel Famau yesterday And realised my boots were a little worn out. This would be perfect! I LOVE hiking up Easdale Tarn and get there as often as I can! Snowdonia – the girls are studying glaciers in school so it seems fitting! wow I would wear mine on a good Sunday walk up Pendle Hill! lovely boots! Gorgeous boots! Look like they’d be comfy trekking round the Peak District!! I will be going hiking around the norfolk broads – flat but beautiful! on our adventures in our camper van! I would be hiking in the Peak District. I’m off to Cumbria in May and these would be perfect! Coastal paths with our new puppy! I will be going walking in Devon and Cornwall in the spring so they would be perfect! These would come in useful when hiking around Yorkshire, where my in-laws live. And local forests and hills in Oxfordshire where we are from. On Formby Beach, revitalised by the bracing wind from the Irish Sea and views of Blackpool and North Wales to lift the mood, Then hiking over the mass of sand dunes that form the backdrop, before heading home for a lovely hot chocolate and marshmallows. Nothing better! I’ve just moved 2 miles outside the Peak District border – can’t wait to get out there! I will be walking along the Cornish coastal paths and beaches. The East Kent Coast, but am looking forward to Snowdonia in the spring! I recently hiked up Table Mountain in Cape Town and plan to do much more walking with my family this year. These would be perfect!! Scottish Highlands for me. Every opportunity I get come Spring. The peak district and rivington pike mostly but also connemara this year for the first time. The North Yorkshire Moors – desolate and beautiful! It would be the Peak District for me. Through the orchards around Pluckley. Definitely the Brecon Beacons, it’s the most amazing walk/hike with views that cover miles of fabulous scenery…we go up every week as a family and the quality time together is totally amazing! I’m off t’other Outer Hebrides in July to walk around looking at Scara Brae, and Scapa Flow so will need good boots for there. going on two holidays where I could really use these! Definitely the Peak District, I love visiting Frogatt Edge and Chatsworth! Don’t have any hiking boots though, could do with a lovely pair like these! If I had the boots for this year, they would be hiking with me in Norfolk and in Yorkshire on the coast and dales. And I am following on Twitter. We are off to Iceland again this year. I followed on twitter (@yyesidolikecake) and Instagram (@izzieobrien). I’m lucky enough to have Rathlin Island (Northern Ireland) on my back doorstep! I would love to go walking in new boots in the Lake District in 2017! The Cairngorms or the Cuillins. I’ve walked and hill climbed a lot on mainland Scotland but never the Cairngorns or the islands. I would be using these boots up in the Lake District, introducing my two young children to the pleasures of walking by the lakes and up in the hills. I would go hiking on the beautiful Isle of Man and also in Northumberland when I go and see my parents. So much choice, just wish I had more free time! I would love some new walking boots, these ones look so comfy. If I won, I’d take these everywhere, down by the local river, to the lake district and on my holiday to Scotland. I’ll be going to the Peak District. I walk to my local gym every morning for my daily swim, love to win these stylish and comfy looking boots as mine are looking pretty tatty. Also been walking some local nature routes (villagelink) with my partner after he had a much needed spinal operation. Living in our area for over 20 years we’ve seen places we didn’t know existed right on our doorstep. I’d wear them on the South West Coastal Path – my favourite place to walk! I live in Wales and I am extremely fortunate to be surrounded by the most glorious countryside so I walk in beautiful local woods and on mountains around my home where red kites are regularly spotted! Anywhere and every where in a nice warm stylish pair of boots like these. ADORE these boots. I’d love to walk in the Scottish Highlands. Or back to Ireland to see my home country in all her glory. Or perhaps walking in the Welsh hills which are so close. Or of course in the South West of England where I currently live. These boots look really warm and comfortable and thus I’d probably end up wearing them all winter but especially if I go for a walk in the glen, beach. I plan on going to Norway this year so they would be perfect for that! I am sixtynine on the 20 jan. So would love to try walk more this year as I don’t normerly. My husband and I go walking up the Brecon Beacons and I would love to wear a pair of these boots. I have also followed you on instagram. I plan to go to Loch Lomond National Park. I’m just getting into walking and the outdoors so need some boots and those look so cosy. Anywhere my feet take me! I’m off to Iceland in March so these would be great. I live on the Boarder of the Peak District so walk there a lot. I’m very lucky really. Those boots were made for walking. I’ve got a weekend in the Cotswolds planned soon and a week in the Lake District later in the year. These would be idea. I left a comment earlier but it doesn’t show. I tweeted on twitter and folloed on Instagram. These Hiking Boots would be ideal for hiking in the Quantock Hills near where I live which I haven’t explored enough yet so far! as I only have my wellies and fashion boots as it will stop the bitching and TALK ! Their first proper outing would be the Yorkshire 3 peaks, we have a charity climb planned just before Easter through work so that would certainly test them out! What a fantastic website! Everthing a girl needs to look cool on winter walks! Great prize! On the moors around my Derbyshire home. i WOULD WEAR THEM WALKING THE SIRHOWY VALLEY TRAIL, AND THE HILLS AROUND CAERPHILLY , THEY DO LOOK SUPER COMFY ! All over Exmoor, and the North Devon coast paths. I plan to walk The Camino de Santiago to the tomb of St. James in Santiago de Compostela in north-west Spain. I would wear these when walking my dog in the hills of the Peak District, but then they look so comfortable, I might just wear them for everyday walking as well! I’m off to France in the spring, so I’d wear them in Normandy. They look amazing. Around the rugged coast where I live. These boots look just the thing for tramping around Yorkshire birdwatching, as I do every weekend. No more frozen toes!! Forgot to add that I’m following you on Instagram (@sarahw2222) and Twitter (@yosarahw)! I walk around the village of Haworth and on the moors. I’d love to win these lovely boots! Thanks for the chance. We’re planning to do some serious walking this year along part of the coast to coast and Pennine Way. Really hoping for some decent weather though so I can appreciate the gorgeous scenery. I would use them for hiking in the highlands of Scotland! Up Penyfan in Brecon – needs some walking boots. These boots are gorgeous! What a lovely prize! I’d use them to go hiking over the Yorkshire Dales, Lake District & I fancy exploring the Peak District this year as well. Pendle hill in Lancashire – hopefully there won’t be any witches!! I’m lucky enough to leave not too far away from the Lake District so often spend weekends walking there. WLking in Pembrey Country Park and along the attached 8 mile blue flag beach would blow anyone’s cobwebs away. Just what I need for exploring the Northumberland countryside around me at the weekends in the company of my trusty poodle! I work as a dog carer, so would spend a lot of time wearing these in Yorkshire, where I live, walking my clients! Followed on Twitter @iggy131313 … Me and my boyfriend are going to do a few stays in the Peak District this year and these gorgeous boots would be just perrrrfect!!!!! My daughter & I love going long walks round Ayrshire where we live! South Korea and the Lake District – those blackberries won’t pick themselves! I would love to walk more of the Cornwall coastal path. I would use the boots to explore the beautiful Wye Valley. Planning a few hikes in the spring, building up to Snowdon in Summer! I’d hike everywhere! Especially Cornwall and Ben Nevis. I will be hiking up Black Combe so these would be perfect. My New Years resolution is to start hiking! I am looking to book somewhere in the lakes so would use them there. I’d love these boots to take a walk around my local surroundings in gorgeous Suffolk. I really fancying tackling my first Munro this year so these would come in handy. I’m volunteering to look after the ospreys at the RSPB’s Loch Garten nature reserve in the Highlands and to look after the seabirds on Skomer island in Pembrokeshire. The coastal path between Inverclyde and North Ayrshire is the sexiest walk on the planet. The West Highland way – love a trip up to Loch Lomond. Just locally in Kent to begin with – need to wear them in first! My current boots have nearly had it! These would be lovely. We are holidaying in Devon, so will use them there. I will be hiking all over Scotland in 2017. I would go walking in the Cairngorms. Assynt in Sutherland. I am planning to do Suilven. I have never been to Scotland and would love to go there and hike! We’re going to The Lizard in May to walk the South West Coastal Path. We’re going hiking lots around the uk and these look like they’ll help a lot. My wife would love a pair of these for her birthday next week. We go walking regularly up in the Shropshire hills. I’m wanting to do Snowdon again! i would wear these boots for a stroll round our local mere in ellesmere with my boys . Last year my partner and I caught the mountain railway to the summit of Snowdonia. It was breathtaking and so beautiful; we’ve planned another trip this spring. This time however, we plan to hike to the summit and hopefully; I’ll be wearing a new pair of Hi Tec Kono Espresso Boots. I would use them in the Peak District. Sandwood Bay on the north-west coast of Scotland. These boots would be perfect with their fur lining – Sandwood Bay is very sandy but definitely not sunny! I would take my dogs to the Lake District, they’ve never been and neither have I! I would use the boots for our Lake District exploring holiday. ollowing you on Twitter and loving your inspirational quotes! Would be perfect to explore the peak District!!! I would walk on Ashdown forest. On my trip to the lakes in March! I’ll be hiking in the lake district with my partner in 2017! 🙂 We conquered Snowdon last year and our next challenge is to conquer scafell pike! Would love a pair of your amazing boots to get the job done properly!! I am lucky to live near the Malvern Hills so these would be perfect for exploring them. I would use them to go hiking in the highlands with my family! I would explore the New Forest! We love to go walking around our local country park, Loggerheads and up our beautiful small mountain Moel Famau. We also are lucky enough to live less than 2 hours away from Snowdonia, one of the most beautiful national parks in the UK and to go walking and hiking there for hours is wondrous for the soul. I love walking in Wensleydale in Yorkshire. We love to hike Eastbourne to Seaford past Beachy Head challenging but such gorgeous views and so well worth it. would love to go to the south downs. Following on instagram (rebeccabeesley) and Twitter (@thebeesleybuzz). I would wear them everywhere, but specifically I would wear then for Barlaston Downs. Beautiful place. I would hike the Lake District, but they are so stylish might even hike the high street first! Would love to treat my daughter these lot so we can go exploring! Love farther & daughter time! The north Yorkshire moors when I visit my family with the kids at half term. Planning a trip to the Scottish Highlands soon, Glencoe area, so they would get plenty of use. Probably Orrest Head, it’s a nice easy walk in the Lake District, just to break in the new boots. All round beautiful north wales but first I would go to gop hill the second highest burial mound in the U.K. Second only to Silbury hill and burial place to Boudicca there’s really cool caves and awesome views too! I would walk the Tissington Trail in Derbyshire. I would use the boots to take my dog hiking around our local countryside – we live in the South East and there are so many beautiful areas to explore, such as Ashdown Forest, Seven Sisters and Fairlight, nr Hastings.